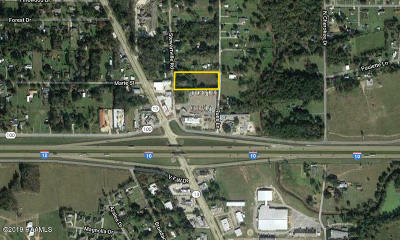 3 acres of commercial property at the I-10 Eunice Crowley interchange. 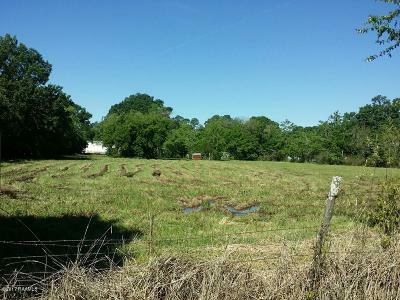 This property is ideally located for commercial businesses etc 3 acres with access on 3 sides. This property is a perfect rectangle, approx 200' x 600'. It has all the infrastructure needed to build whatever you want including city water, city sewer, natural gas, telephone, internet and your choice of electricity from either Slemco or Cleco. The blue house is empty and has no value to the sale price. The mobile home is occupied and will be removed prior to sale. Reserved items are the wooden gold storage building and the white metal storage building. Seller is requesting a 45 day notice to vacate the mobile home prior to sale. The rear portion of the property touches the truck stop.